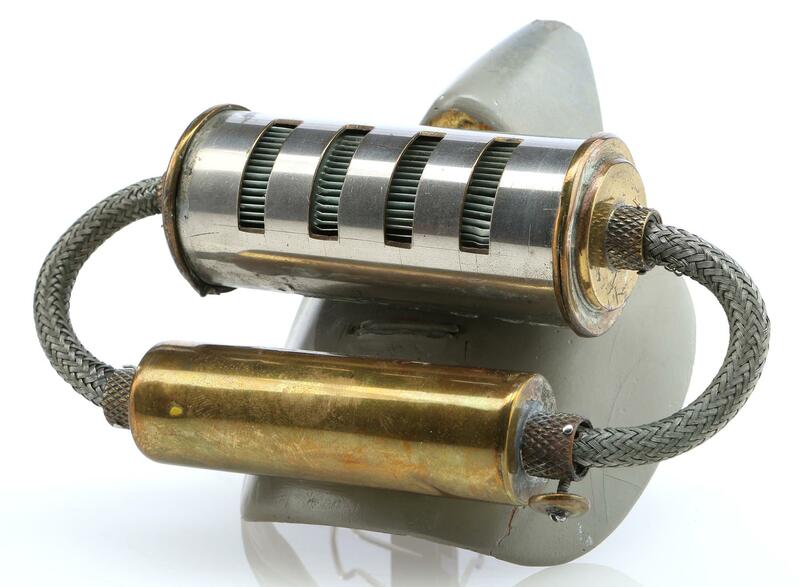 The scope of the Comisar Collection’s Star Trek material is one of the most remarkable parts of the TV Treasures Auction. Pieces have been included from The Next Generation, Deep Space Nine, and Voyager, but the majority of the lots stems directly from the three seasons that started it all: Star Trek: The Original Series. tlhIngan Hol Dajatlh’a’? Then this lot probably caught your eye already. 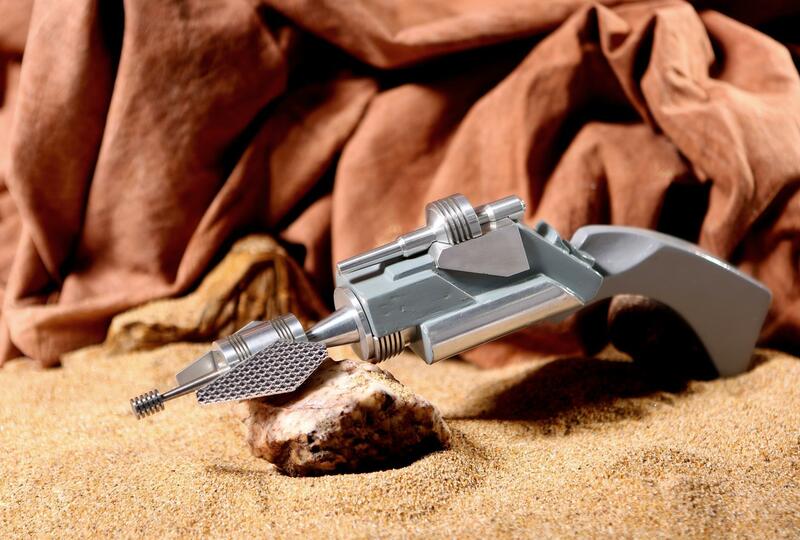 A memorable piece of Star Trek lore, Klingon disruptors were introduced in the classic first season episode, ‘A Taste of Armageddon,’ as the Klingon forces’ trusty sidearm. Made for the original series, this particular disruptor was almost featured in Star Trek: The Motion Picture as well. 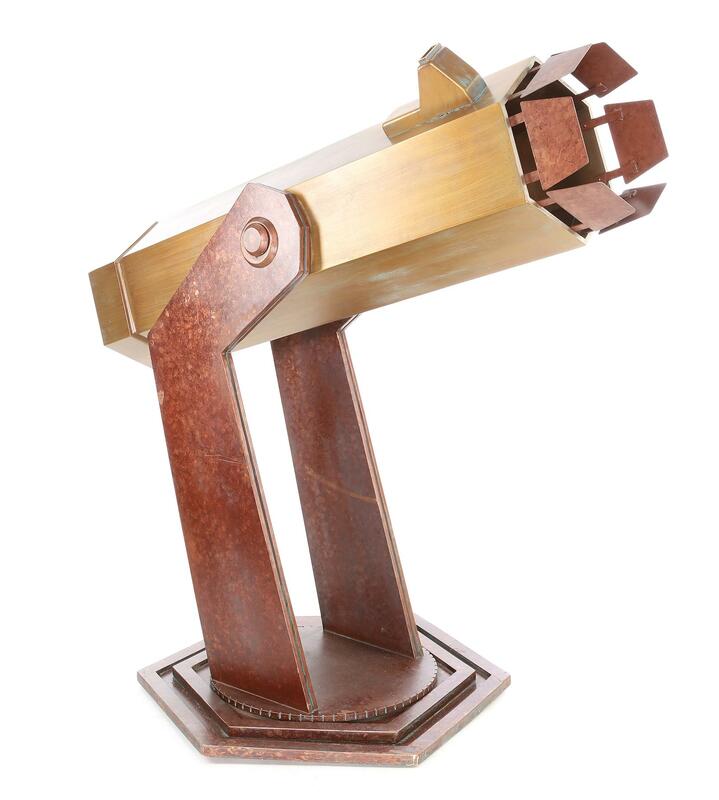 When TMP prop master Richard Rubin started work on the film, he was given access to many of the assets that remained from the series, including this disruptor. The gun’s wooden body showed some wear at that time, and Rubin repainted where necessary to restore it to its former glory. Though disruptors were ultimately not used during the film’s production, this piece’s unique heritage and near-miss blockbuster debut is still a story worth telling. 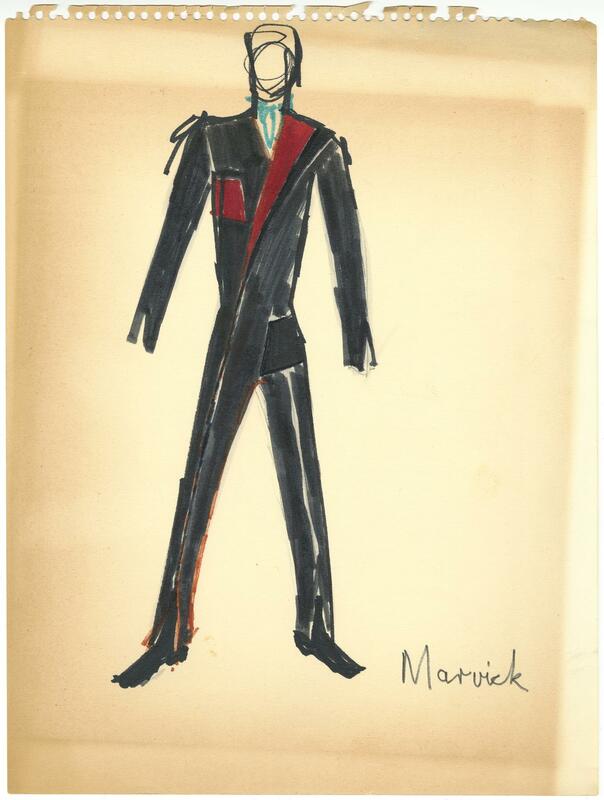 This piece, along with the other Star Trek: TOS costume designs in the auction, were acquired by the Comisar Collection directly from Mr. William Ware Theiss, the series’ beloved costume designer. Often working with just colored markers or crayons, Theiss’ sketches are minimal, but eventually helped to define the show’s pallet and bold visual style. 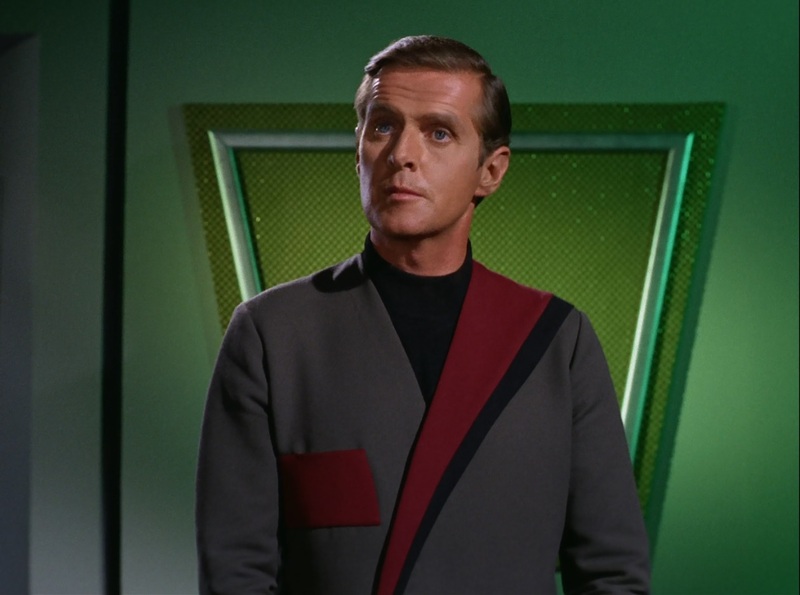 Their hurried nature is evidence of the trust shared between Theiss and his costume team, who regularly interpreted his spare designs into the futuristic couture seen on guest stars in practically every episode. 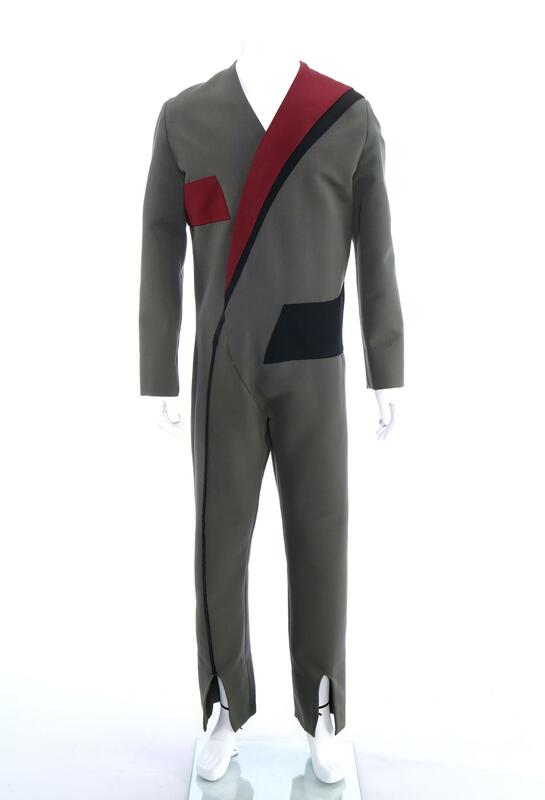 An excellent companion to the lot above, this costume is the direct result of Theiss’ sketch for Larry Marvick’s jumpsuit. The lead designer of the USS Enterprise, Marvick beamed aboard in ‘Is There No Truth in Beauty?’ (307). Sure, the trip took a few bad turns and eventually led to Larry going mad and dying, but how about that jumpsuit?! 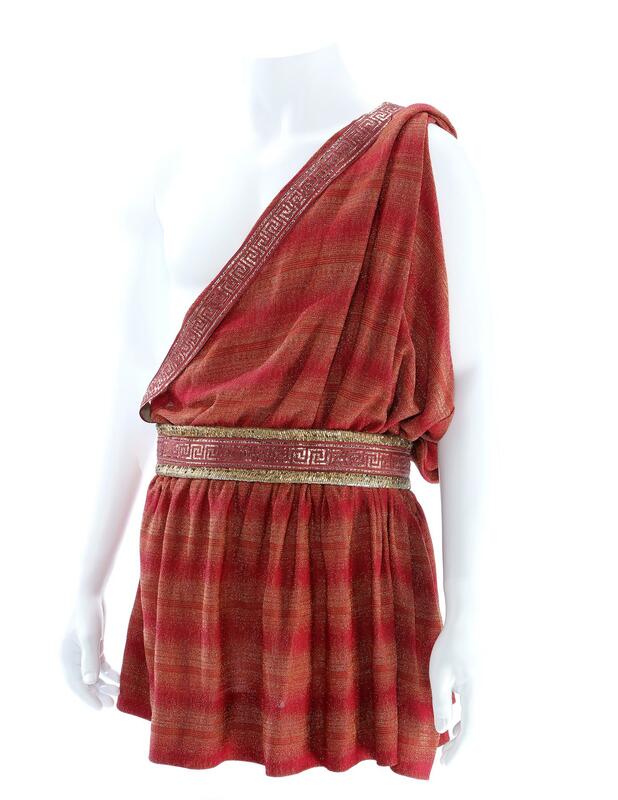 This costume, like many others worn by guest stars, is likely the only version made by production. A combination of shoestring budgeting and short production time meant that the costume department rarely had time to produce duplicate costumes for many of the characters, making this piece’s survival – and its inclusion in the Comisar Collection – all the more remarkable. 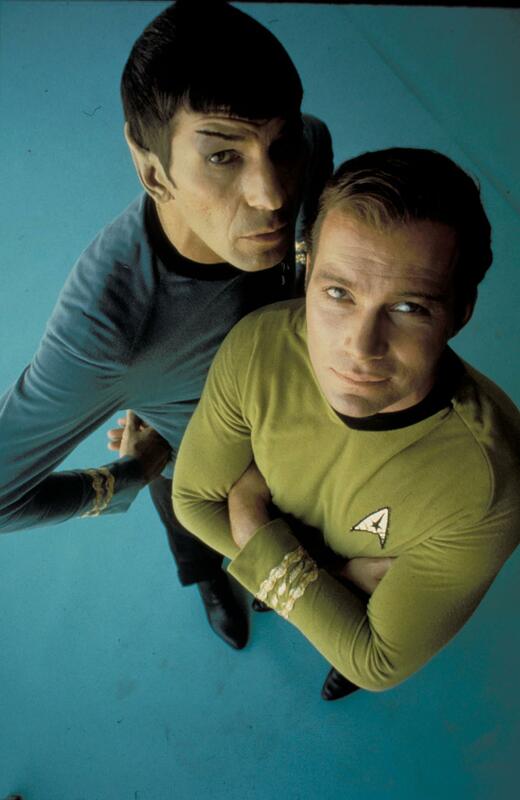 After two years of near-misses and narrow escapes, you would think Captain Kirk would know to leave his chief science officer aboard the Enterprise before beaming down to that week’s likely trap. 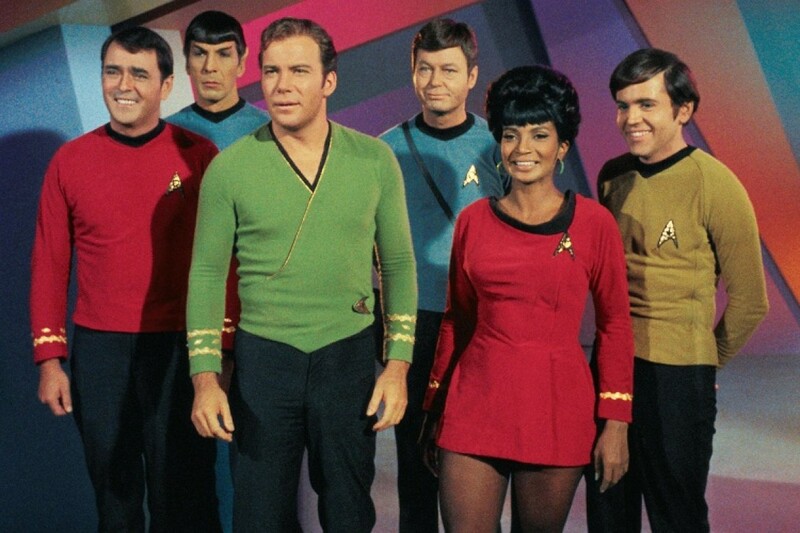 Unfortunately for Mr. Spock, he made the short list for the away mission in ‘Plato’s Stepchildren’ to rescue Bones from the planet’s telekinetic inhabitants. 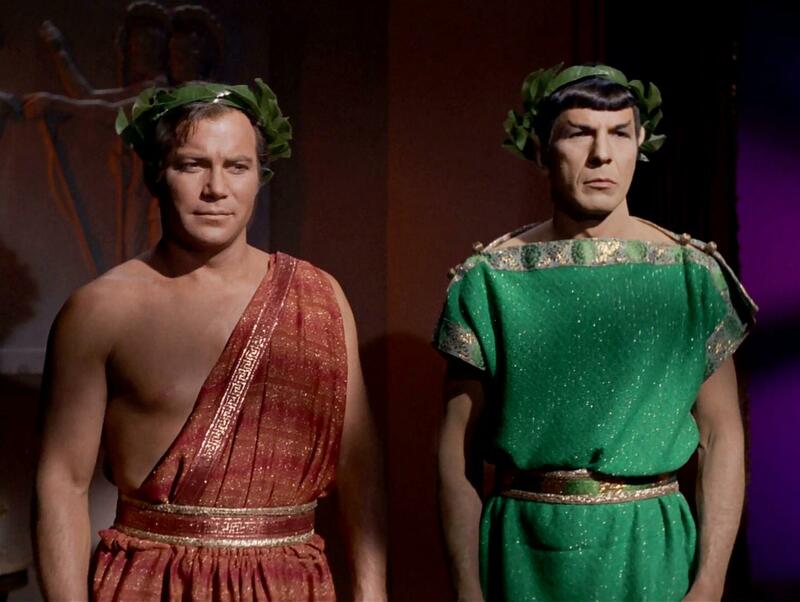 Kirk and Spock soon fell under their thrall and were forced to perform in the style of the ancient Greeks, complete with period costumes. 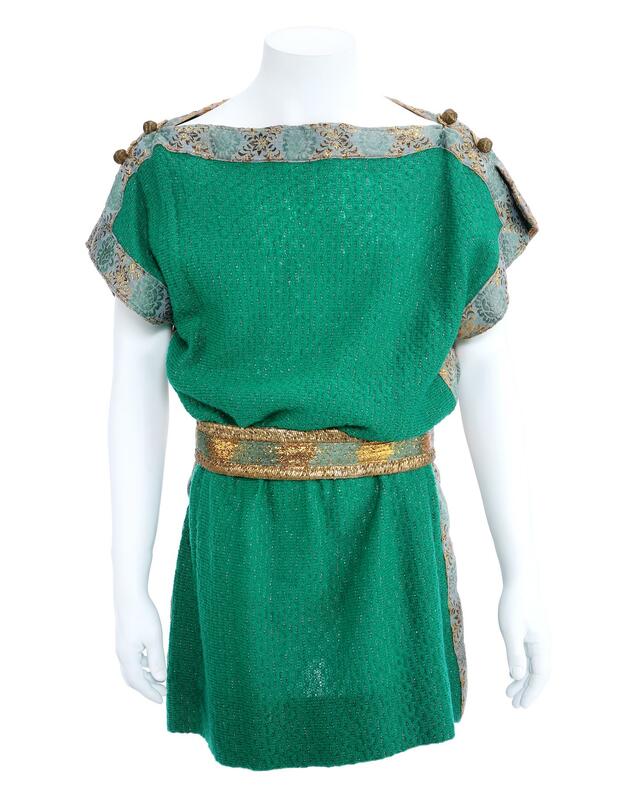 Spock’s tunic is made of a green knit fabric, with thread-wrapped button closures on the shoulders and a gold-trimmed fabric belt. While multiples of Mr. Spock’s Starfleet uniform were made for every season of the series, this lot is likely the only version of this costume created for the character. Caught in the same psychic compulsion as Mr. Spock, Captain Kirk was also forced to forgo his normal Starfleet attire for something a bit more theatrical. 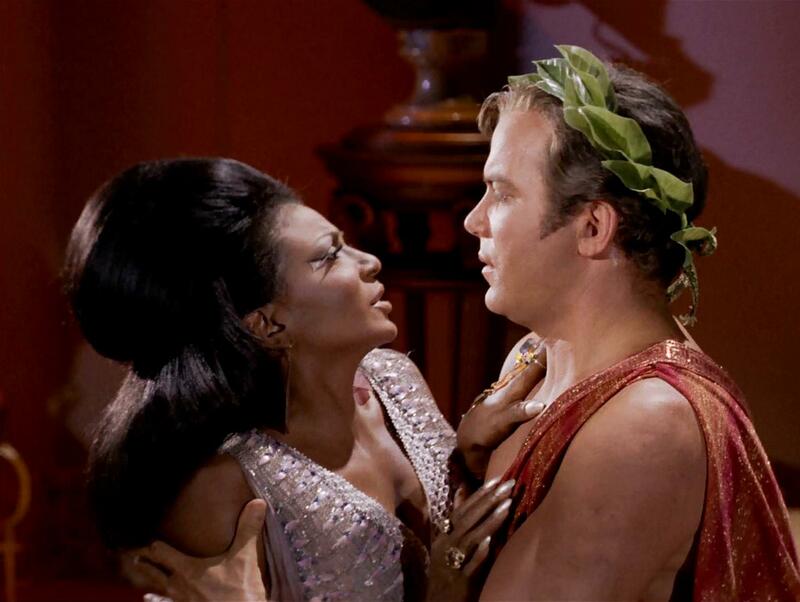 The Captain wore this chiton during his forced performance for the Platonians, where he was made to kiss his chief communications officer, Lt. Uhura (Nichelle Nichols), in one of America’s first interracial onscreen kisses. A landmark cultural moment, both the studio and production were nervous about viewer outrage, even going as far to instruct the actors not to physically touch lips during the scene. The jury is still out on whether or not that dumb, little direction was taken (Nichols and Shatners’ accounts differ here), but the swell of fan support after the episode aired quelled the studio’s fears and cemented yet another historical milestone for The Original Series. We’re getting away from The Original Series for a second – just to circle back around again – with this lot from Deep Space Nine’s ‘Trials and Tribble-ations.’ Celebrating the franchise’s 30th anniversary, ‘Trials and Tribble-ations’ saw Captain Sisko and his team travel back in time the Kirk-helmed Enterprise during a heavy Tribble outbreak (as originally chronicled in TOS’s ‘The Trouble with Tribbles’). 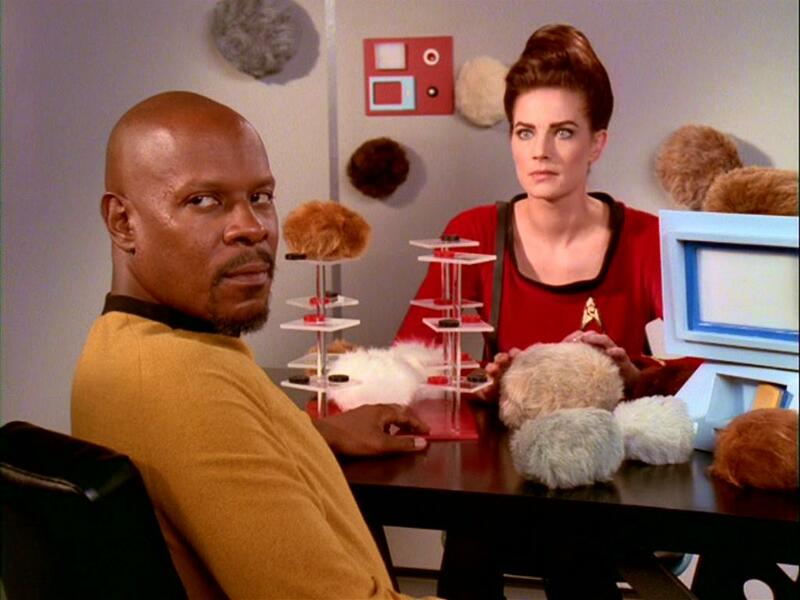 The DSN production team went to great lengths to replicate the original Enterprise sets, lighting, costumes, and even the mischievous Tribbles themselves. 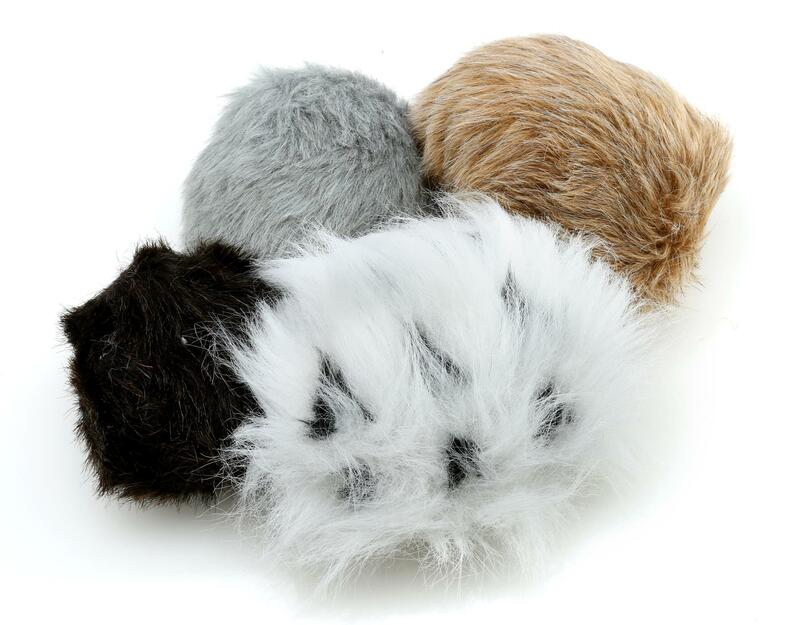 Each one of these libido-driven little fuzzballs was hand-made by the production crew using various styles of ermine-like fur. 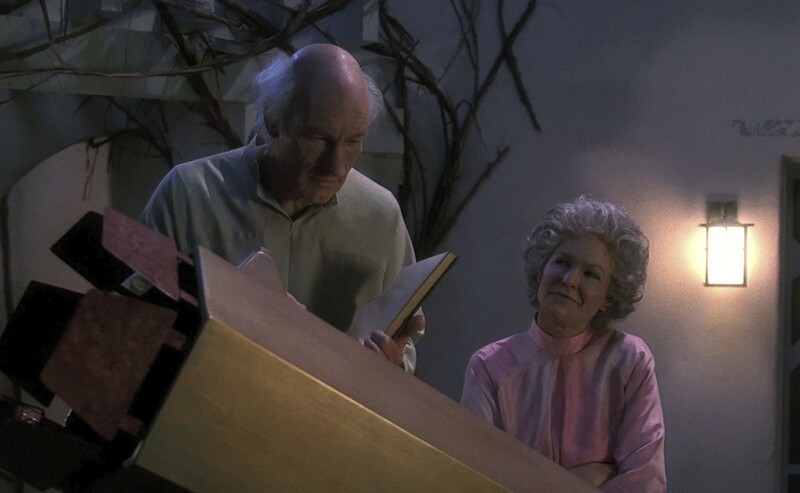 In what is often cited as one of the greatest Star Trek stories of all time, The Next Generation’s ‘The Inner Light’ finds Captain Picard zapped with an alien probe and transported into the simulated consciousness of an astronomer on a doomed world. Picard lives out a perceived 40-year lifetime as Kamin, all the while using this one-of-a-kind telescope to monitor the solar system’s pre-nova sun. This lot is the largest piece of Star Trek prop work we’ve come across, standing at an impressive 77” at its highest point. The handsome, largely wooden piece was painted by prop fabricator Paul Pearson to mimic aged brass and is in keeping with the design aesthetic seen throughout the series.